What Is the Age of Sail? The Age of Sail is generally classified as the late 15th to mid-19th century, when trade was dominated by ship trade. This expansive era is responsible for the massive exodus from Europe to the Americas and the foundations of a truly global economy. The Age of Sail is also remembered for its destructive impact, as it dictated the slave trade through Europe and North America. Prior to the late 15th century, most large sailing craft was powered by oars. 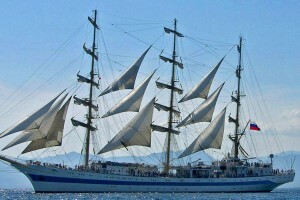 After the 1570s, advances in sailing technology led to the predominance of sailing ships. These ships were preferable in that they required less human power to operate, and could travel according to the winds, rather than the exhaustion level of the rowers. The Battle of Lepanto in 1571 is generally considered to be the last major military use of oar craft, before most nations shifted to the new versions of sailing ships. From the late 16th through the early 17th century, the Age of Sail coincided with the Golden Age of Piracy throughout the world. New world settlements, particularly those in the Caribbean Sea, were far removed from their respective national governments and the laws of their homeland. The addition of consistently used trade routes made many areas easy work for pirates. The Triangle trade between Europe, the Caribbean islands, and Africa proved tempting for many independent pirates. Mighty merchant ships run by French, Spanish, English, and Dutch governments would carry slaves from Africa to the Caribbean, and goods from the islands back to Europe. Pirates operating in the Caribbean would attack the government ships, usually after the ships had dropped off their human cargo and picked up goods for the return to Europe. Off the coast of Africa, similar opportunists were called corsairs, and would raid slave ships for plunder and captives. In the dangerous Age of Sail, new technologies were constantly being developed to help protect government ships. Advances in naval warfare were enormous, and design changes to the ships themselves allowed them to move faster, carry more cargo, and run more heavily armed. The downside to the innovations was that an advanced ship, if captured by pirates or corsairs, was then in possession of superior technology. The end of the Age of Sail was marked by the invention of steam-powered ships, which did not need to rely on questionable winds to get around. Although early models of steam ships had existed since the early 17th century, it was not until the American Civil War that they truly overtook the massive clippers and tall ships that had ruled the oceans for centuries. The invention of diesel-powered ships in turn would supplant the steam ships, and sailing fell completely from its glory. 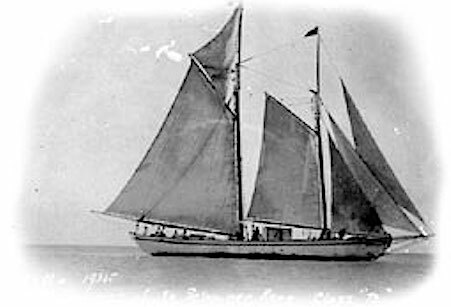 Sailing ships would later become recreational vehicles, still used in races and by hobbyists. The Age of Sail changed the world permanently, and was one of the earliest enablers of a global community. The development of America, the traumatic results of the slave trade, and the establishment of a worldwide commercial system were all overseen by the tall ships of the era. Today, many port cities offer walking tours of traditional ships from the Age of Sail, allowing modern visitors a look inside the life of sailors and the vessels that ran the world for nearly four centuries.